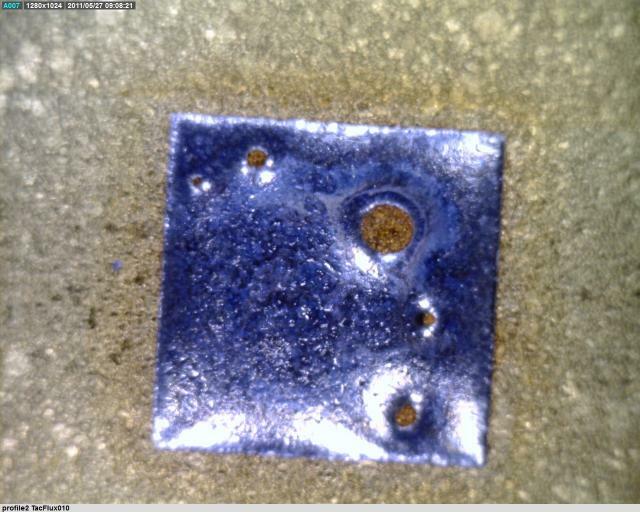 Recent test results show that solder fluxes handle high reflow temperatures (>450°C), providing better-than-expected visual results of flux residue! 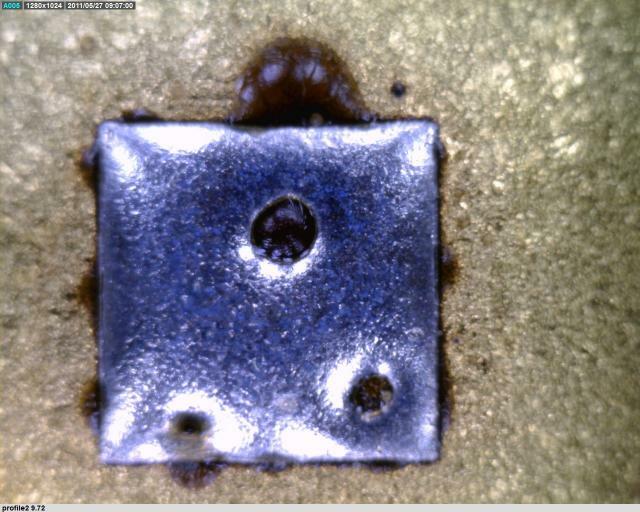 Solder fluxes have not traditionally been used with AuSn, AuGe, or AuSi eutectic solder, because their peak reflow temperatures were very close to or above the flux activation range. An average flux activates at approximately 125°C and is not recommended for temperatures in excess of 350°C. Although AuSn solder melts at 280°C, peak reflow temperatures are recommended to be >300°C, nearing the maximum suggested temperature of flux. AuGe and AuSi alloys melt at 356°C and 363°C respectively, which exceed the documented flux activation range. Since these alloys contain ≥80% gold and are resistant to oxidation, flux is not always necessary. Other methods have conventionally replaced the flux function, such as mechanical scrubbing, or forming gas purging. If these technologies are not available, or assembly speed is priority though, a flux may be required. So I, along with my fellow engineer, Brandon Judd, sought out to test some of our best fluxes with Au alloys at these high temperatures. The result: Not all, but a few of these fluxes work extremely well up to temperatures as high as 450°C!!! Some fluxes did what we expected- they charred and burned. They simply were not designed for this environment. Others, such as our TacFlux010® were very resilient at these temperatures. For more information about these test results, please contact myself or Brandon.